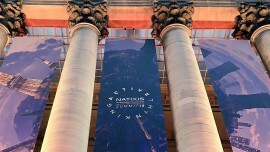 Natixis Investment Managers, one of the largest asset managers in the world with €846.5 billion in assets under management, announces the creation of Dynamic Solutions, which will bring together the firm’s diverse expertise in developing customised client investment solutions into a single offering of solutions capabilities within the firm’s multi-affiliate organization. James Hughes, former Global Head of Strategic Client Solutions for Aberdeen Standard Investments will lead the new business, based in London, and report directly to CEO Jean Raby. James will join Natixis in December 2018. 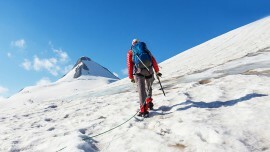 Dynamic Solutions has been formed through the consolidation of Natixis Investment Managers’ European investment solutions capabilities into a centralized team that leverages the expertise of its former Portfolio Research & Consulting Group (PRCG) and the former Investment and Client Solutions (ICS) unit of Ostrum Asset Management (an affiliate of Natixis Investment Managers). Dynamic Solutions will selectively access expertise across the firm’s range of investment affiliates to deliver investment solutions that respond to the ever-changing needs of investors as well as provide advisory, structuring and fiduciary management services. Through its global distribution platform, Natixis Investment Managers offers investment solutions from 26 of the world’s leading high-conviction active investment managers, each of whom concentrates on the investment styles and disciplines in which they have proven expertise. This multi-affiliate structure is built on a belief in the power of independent and active thinking, the ultimate objective being to better serve investors and help them to build stronger and more diversified portfolios over the long term. 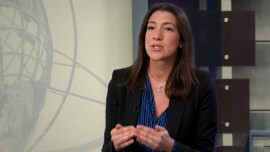 Claire Martinetto, former project leader of the solutions initiative for Natixis Investment Managers, will serve as Deputy Head of this team. Dynamic Solutions encompasses three main areas of investment solution expertise: “Consulting and Advisory,” led by James Beaumont, former head of Natixis Investment Managers’ Portfolio Research & Consulting Group; “Investment Solutions and Services,” led by Oumar Diawara, former Head of the Structured Investment Services Platform at Seeyond; and “Multi-Asset Multi-Affiliate Investments,” led by Franck Nicolas, former Head of Investment and Client Solutions at Ostrum. Seeyond and Ostrum are both affiliates of Natixis Investment Managers. Prior to joining Aberdeen Standard Investments, Hughes was Managing Director, Multi-Asset Solutions, for Gottex Fund Management. Previously to that, Hughes served as Group Chief Investment Officer for HSBC Insurance based in London and Hong Kong where he managed US$120 billion of assets across 22 countries. His eight-year career with HSBC also included roles as Chief Investment Officer of HSBC Insurance Vietnam and Head of Multi-Manager/Multi-Asset in both the Asia Pacific and EMEA for HSBC Asset Management. Headquartered in Paris and Boston, Natixis Investment Managers is a subsidiary of Natixis. Listed on the Paris Stock Exchange, Natixis is a subsidiary of BPCE, the second-largest banking group in France. Natixis Investment Managers’ affiliated investment management firms and distribution and service groups include Active Index Advisors®;3 AEW; AlphaSimplex Group; Axeltis; Darius Capital Partners; DNCA Investments;4 Dorval Asset Management;5 Gateway Investment Advisers; H2O Asset Management;5 Harris Associates; Investors Mutual Limited; Loomis, Sayles & Company; Managed Portfolio Advisors®;3 McDonnell Investment Management; Mirova;6 Ossiam; Ostrum Asset Management; Seeyond;6 Vaughan Nelson Investment Management; Vega Investment Managers; and Natixis Private Equity Division, which includes Seventure Partners, Naxicap Partners, Alliance Entreprendre, Euro Private Equity, Caspian Private Equity;7 and Eagle Asia Partners. Not all offerings available in all jurisdictions. For additional information, please visit the company’s website at im.natixis.com | LinkedIn: linkedin.com/company/natixis-investment-managers. 2 Net asset value as of June 30, 2018 is $988.4 billion (€846.5 billion). Assets under management (“AUM”), as reported, may include notional assets, assets serviced, gross assets and other types of non-regulatory AUM. 6 Operated in the U.S. through Ostrum Asset Management U.S., LLC. 7 Caspian Private Equity is a joint venture between Natixis Investment Managers, L.P. and Caspian Management Holdings, LLC.